Small Animal Talk: What does your dog do when you leave the house? Phil, as captured on "Philcam" aka The Eyenimal. 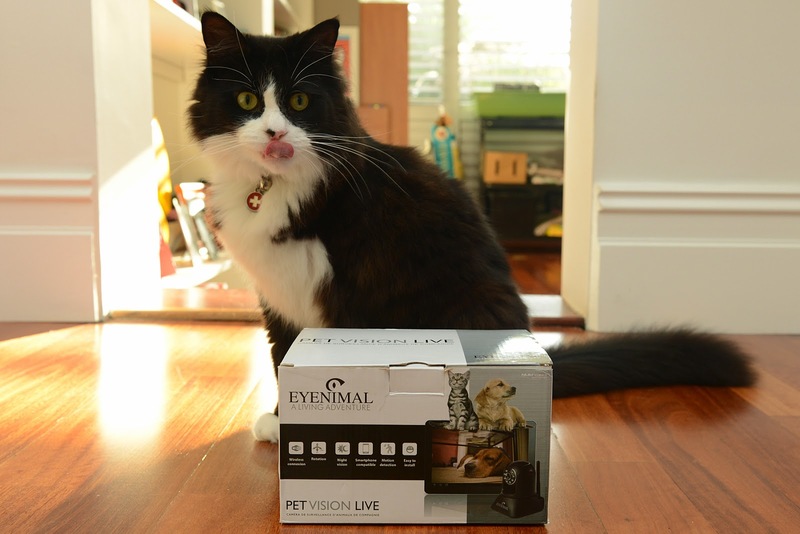 Do you know what your pets get up to when you leave the house? You can think you know, but unless you can observe them somehow it’s all a bit of an educated guess. Phil and I are participating in a study (although of course he doesn’t know it and cannot consent to it) about separation anxiety in dogs (you can read more and get involved here). 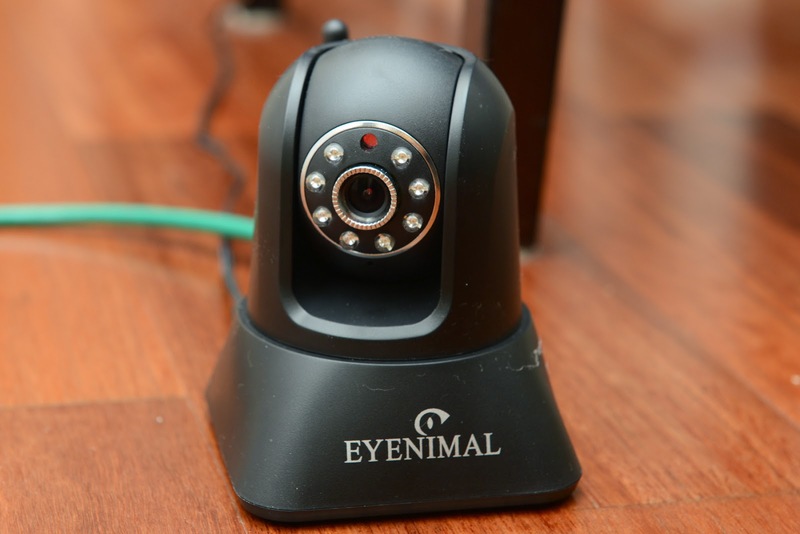 As part of that study I’ve been allowed to borrow a camera called the Eyenimal – designed specifically for remote pet monitoring but also used for security and baby monitoring – which enables me to leave the house and observe what Phil is getting up to. I’ve had clients film their pets before. Usually these are clients who come home to find bizarre changes in the house – like all the stuffing removed from their cushions, or parts of doors chewed off. They want to know for how long their dogs are distressed, and what times of day are the times that interventions (like sending in a dog-walker) will be more effective. Their pets won’t behave badly when they’re home, so the camera means they can observe their pet from afar without influencing the behaviour. The camera resembles a ye olde school diving helmet. The Eyenimal camera itself reminds me of a diving helmet from an old, deep-sea diver (you know the ones that look like astronaut helmets) but I can pan it in any direction. Not that I really need to. At this very moment, as I sit outside and blog, Phil is where I left him – on the doormat near the door. Michael, my eldest cat, is sitting near him. It’s hard to tell, as I can only see her from the rear, whether she is intimidating him and trapping him near the front door, or whether she too is waiting. In fact I was surprised last night to learn that she is the most active of the non-humans in the household, walking past the camera and occasionally sitting right in front of it, taking a “selfie” of her chest and blocking the view of anything else. Michael sits practically on top of the camera, blocking the view of everything else in the entire room. Unfortunately Hero, my youngest cat, is onto me this morning and is has managed to open the blinds and spot me sitting outside. He is meowing his head off. The other two haven’t twigged that I am outside. The striking thing I found is that there is a difference in Phil’s behaviour when I leave at night as opposed to when I leave during the day. At night, he toddles off and puts himself to bed. When it’s daytime, he waits. So if I am going to invest in pet-sitting, daytime seems the better time. One thing’s for sure. His behaviour isn’t quite what I expected and this technology is offering a fascinating insight. It’s more gripping than watching Home and Away. 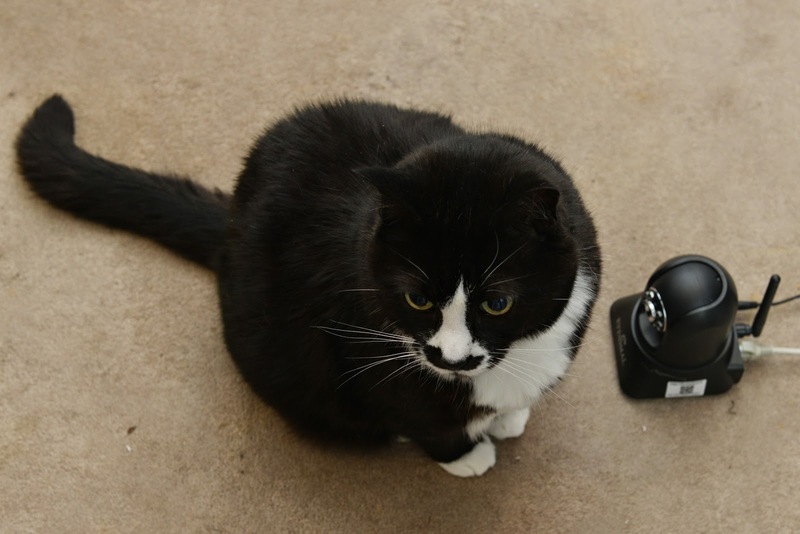 Have you ever filmed your pets when you’re out? In other news, Rosie Allister who volunteers for Vetlife wrote this interesting post which gives some insights into working on a veterinary helpline, and the fact that veterinarians often call late – not so much late in the day as late in trying to cope with a problem or two (hundred). Read here. And for those with a religious bent, Pope Francis was overheard reassuring a little boy that his dog would go to heaven. Its kind of a big deal, although the comment is being played down. Read more here.